At the end of 2012, TSEUK and HFG signed the Approved for Construction contract. 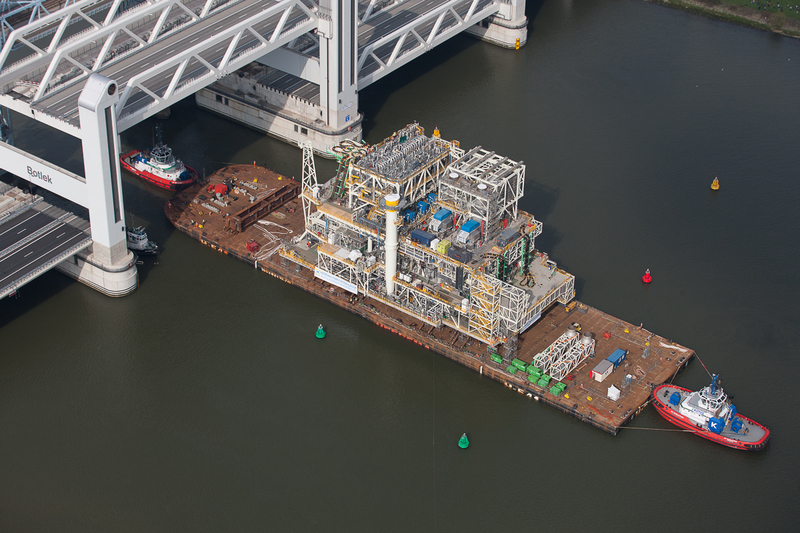 In March 2013 Heerema Zwijndrecht started fabrication and constructed within three years the 10,500 tons topside with a length of 75 meters, a width of 44 meters and a height of 40 meters. “I am proud of what we have accomplished in those three years,” says Ronald Wiebes, Yard Director Heerema Zwijndrecht. “It is a complex topside full of equipment. The success of this project is among other things due to the excellent cooperation with the customer in all levels of the organization. I think it is a perfect example of how a customer and a contractor come to the best result in all aspects by joining forces.” Koos-Jan van Brouwershaven, CEO of Heerema Fabrication Group adds: “The key in this challenging contract is trust. Trust to work together as one team to finalize this topside at a high quality level and in-time for scheduled sail away”.